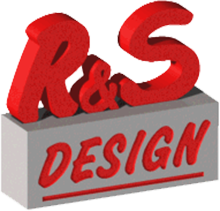 R&S has over twenty years of experience in Mold Design. Die casting molds are most commonly designed for parts in Aluminum, Magnesium, Zinc, or can be created using another special die alloy. Molds for cold chamber, hot chamber, miniature, and special processes will be built to your exact specifications. Our engineers focus both on part and die optimization, improving part quality and reducing material usage, minimizing production costs and cycle times. Ribs– improves material strength in products lacking the wall thickness for certain applications, and can reduce stress cracks, non-uniform thickness, can decrease product weight and improve fill capabilities. R&S Design has built a reputation for excellent mold designs, from simple open shut molds to complex multiple slide molds. 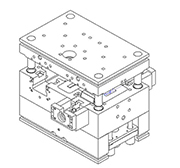 For more information, or to find out how R & S Design can help you with your next Mold Design project, please contact us.